You will find us right next to the water at the Southern end of Baloy Long Beach, within the facilities of Blue Rock Resort. Once you get here you’re just a 10 meters walk from both accommodation and a 24h restaurant. We provide shower facilities, toilets and dressing rooms. At El Coral Reef Dive Center you can get certified on all PADI, SSI and TDI courses, from Open Water Diver to Open Water Scuba Instructor. If you never tried diving before and don’t feel sure about signing up for the full Open Water course, try our Discover Scuba Diver course just to get you feet wet! We will take you to the shore or to one of the shallower sites in the bay, show you some basic dive skills before conducting a complete dive together! 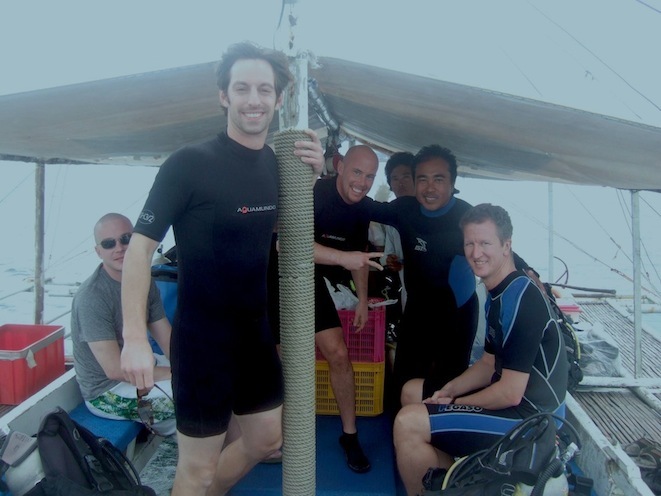 We provide both training and equipment, and our Divemasters are here to make sure you’re safe at all times! Drop by our dive shop or call us to find out more. Hope to see you here soon! 09.00 am – Breakfast at the Blue Rock Resort. Chose from a wide variety of different food and drinks! We suggest you to bring some food on the boat in case you’re planning to do three dives. Most of our divers usually bring a club-sandwich or other types of snacks! We always provide both drinking water and coffee. 09.45 am – Check all dive gear before boarding the boat. 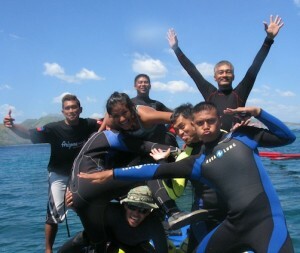 We will provide whatever gear you don’t have, wetsuit, mask, booties, fins, weights, BCD and underwater camera if requested. 10.00 am – The boat leaves heading towards the days first dive site. This trip usually takes about 10-15 minutes depending on where in the bay we will be diving. Most dive sites are pretty near to the Dive Center. Once on the boat we will prepare your gear and make a last check before reaching the site. Tanks are fitted and air pressure checked. 11.00 am – First dive! 11.45 am – Surface! 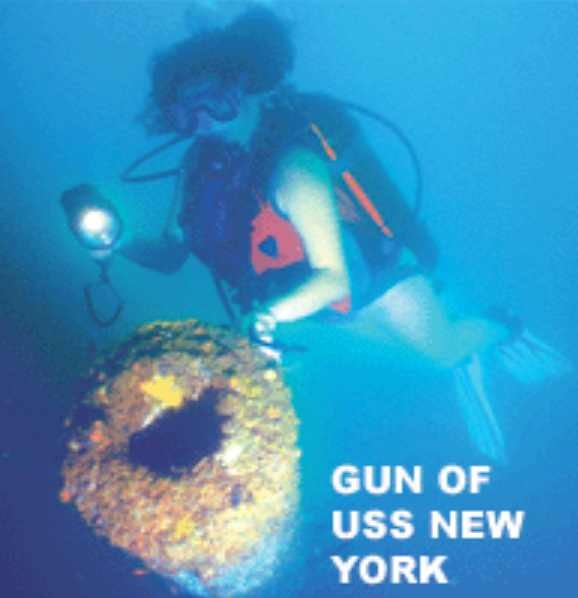 A dive usually takes between 30-60 minutes depending on depth etc. Once back on the boat we would start moving towards the second dive site. The surface interval is normally about 1 hour (depending on the type of dive conducted). Great for a chat with other divers, coffee and a snack! 01.00 pm – Second dive! 01.45 pm – Surface! This time you’re probably a bit hungry. Use the time before the next dive to finish your lunch. 03:00 pm – Third dive, last dive for the day! 03.45 pm – Back on the surface! 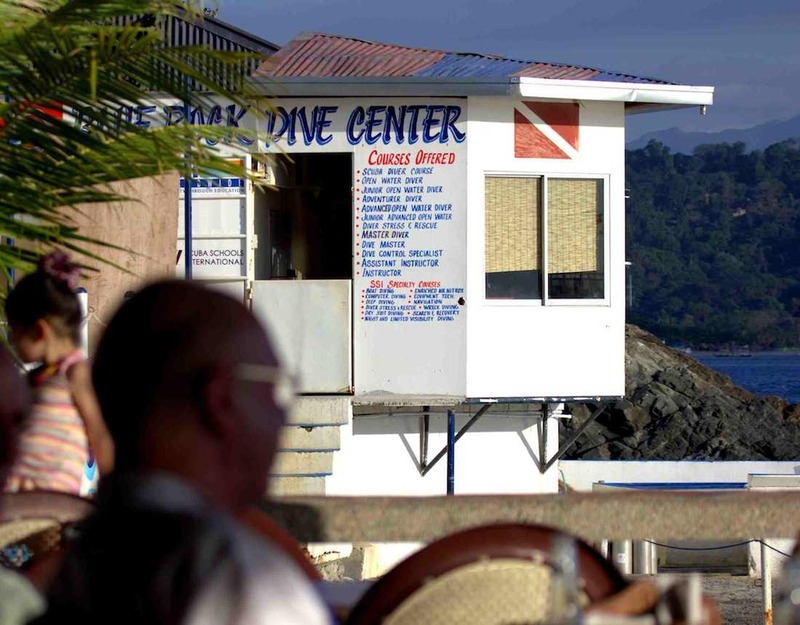 04.30 pm – Back at the dive center. Plenty of time for a shower and a bit of rest before dinner! Print out a dive trip checklist before packing your bags in order not to forget anything important! 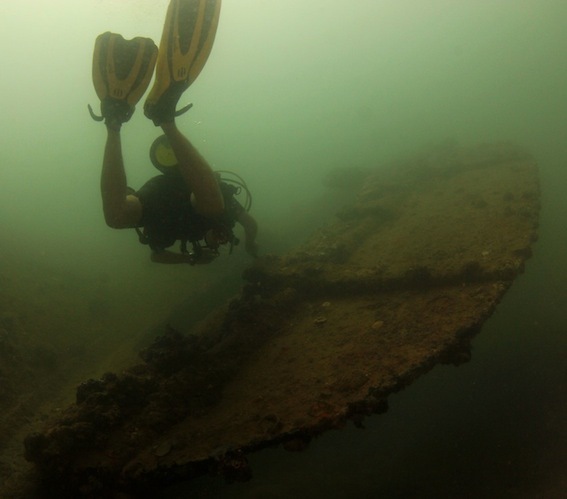 Check out the most popular dive sites in Subic Bay here.